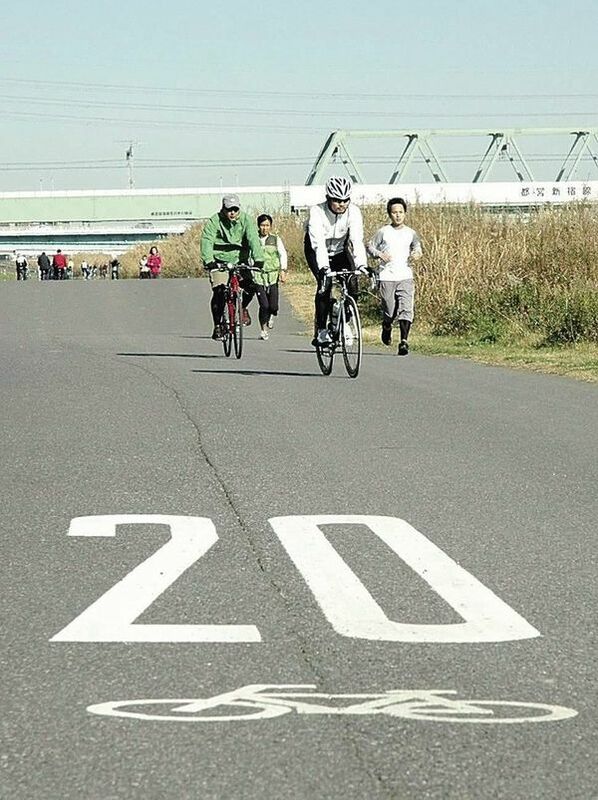 A 20 kph speed limit for a road along the Arakawa river in Tokyo will be scrapped by as early as July after being deemed too slow for cyclists and not slow enough for pedestrians. Both cyclists and pedestrians have complained about the speed limit, which was implemented in April 2010 by the Land, Infrastructure, Transport and Tourism Ministry. The restriction applies to about 30 kilometers of the 94-kilometer road along the river, which connects Tokyo Bay and Kumagaya, Saitama Prefecture. The limit was an attempt to protect pedestrians on the downstream portion of the parklike road, which is not subject to the Road Traffic Law. However, as it is not legally binding, police have no authority to enforce it. The riverside road attracts many cyclists, who have dubbed it the Arakawa cycling road. But several accidents are caused each year by reckless cyclists who speed into pedestrians. Although cyclists would be required to obey the speed limit under the road law, riverside roads are legally considered to be open space and about 64 kilometers of the downstream section of the road is controlled by the ministry as a river management facility. As the road has also been designated for emergency use, it can be utilized for disaster-relief activities and transporting emergency relief vehicles. In an attempt to improve the situation, the ministry's Arakawa-Karyu River Office and municipalities near the river have set up a working group to study pedestrian rules. The group eventually decided on the 20 kph speed limit as it was considered the fastest speed at which cyclists could immediately stop. However, the limit proved unpopular. Pedestrians claimed the limit was not slow enough and demanded it be lowered to 10 kph. On the other hand, cyclists complained the limit was too slow, saying, "We can't get anywhere at such a slow speed," and "Is there any basis for this figure?" Frustration over the matter has been mounting on both sides. In one instance, an affiliate of a boys baseball team became very upset with the number of cyclists who ignored the speed limit and decided to block off the road with cones, almost causing an accident. The office then concluded the conflict should not be allowed to intensify any further. It plans to change its policy to appeal to cyclists' conscience, stipulating they should "yield to pedestrians" in its new rule. The new policy seems counter to the current trend of strengthening cycling regulations. 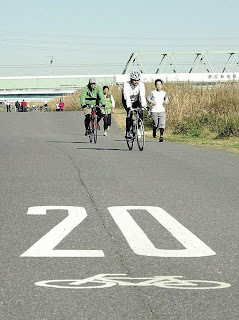 If cycling etiquette does not improve and incidents continue to occur, the ministry's office plans to set a speed limit under the Road Traffic Law by giving control of the road over to the Tokyo metropolitan government or ward offices. "We'll create new rules under the perspective that mutual understanding is necessary to ease the conflict between pedestrians and cyclists," said Masaki Hatano, who heads the office. Meanwhile, Shigeki Kobayashi, administrative director of the nonprofit organization Bicycle Usage Promotion Study Group, said he had doubts about the effectiveness of a speed limit without police control. 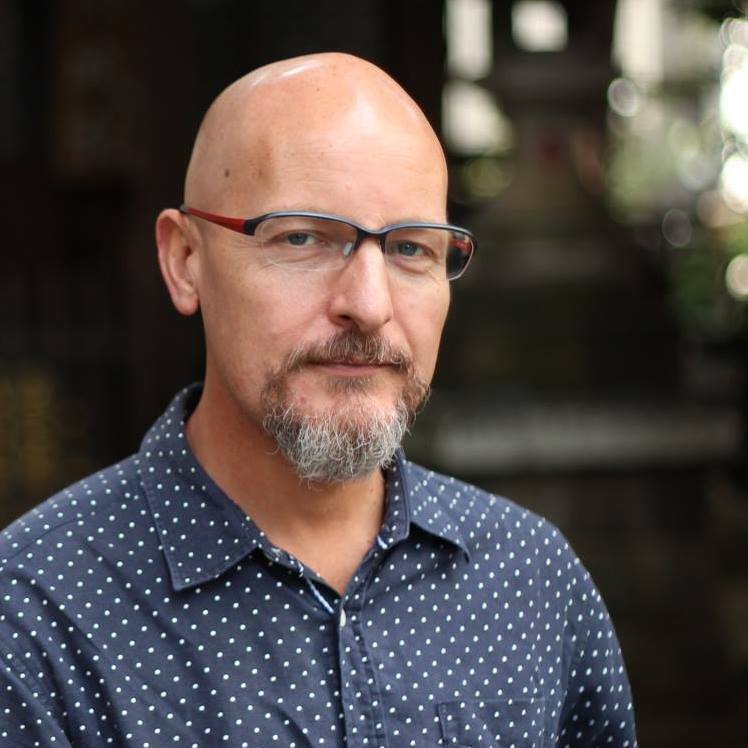 "The government has to admit that congestion near rivers and parks is now inevitable as the number of cyclists increases every year. To prevent accidents, they should prepare separate roads for pedestrians and bicycles," he said. Maybe Japanese cyclists and pedestrians, on park roads or off, should stop acting witless! Maybe Japanese cyclists and pedestrians could get it into their heads to choose a side to travel on consistently: slow left, fast right - like driving. Maybe the city could widen the roads so that they are not impassable on weekends, or they could lay down a new path and designate cyclists and pedestrians to separate ones. No, Japan prefers rules, even when they make no sense and have no effect.